Sea Pines Country Club came to WDM with a need to polish up its image to coincide with the exciting new renovations and enhancements to the club itself. 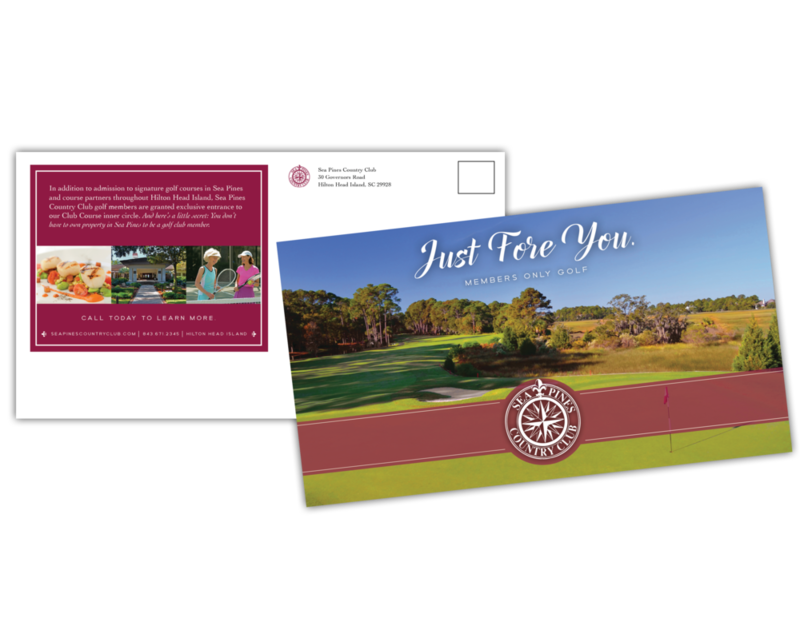 They needed new marketing tools and a creative story to present the club and all of its renovations to potential new members both inside and outside of Sea Pines Plantation. The WDM brand process led to the story of the circle. 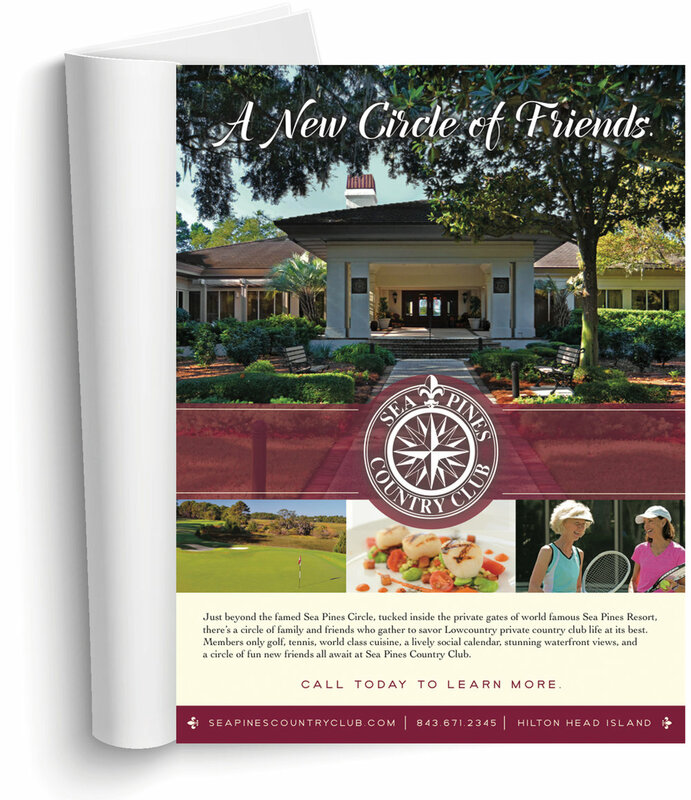 Just beyond the Sea Pines Circle, tucked inside the gates of the world famous Sea Pines Resort, there’s another circle, one that’s a bit of a best kept secret. It’s a circle of Sea Pines Country Club family and friends who come together to enjoy an unparalleled wealth of private amenities and personal services, to play golf and tennis, and to savor world class cuisine, a lively social whirl, and the Lowcountry lifestyle at its best. This story resulted in beautiful new marketing materials that generated interest, inquiry, and new members to the club.